To the east side of Hastings Country Park are the Firehills. 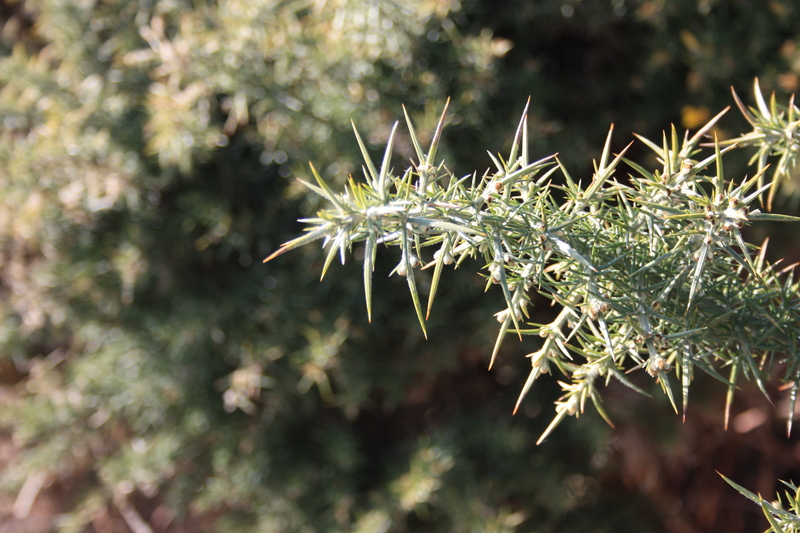 Their name comes from the gorse, heather and bracken which display an array of fiery colour when in flower. It was a bit early in the season for us to see this. The gorse bushes were nursing fresh buds for the most part, waiting for their petals to unfurl and set the hillside ablaze. 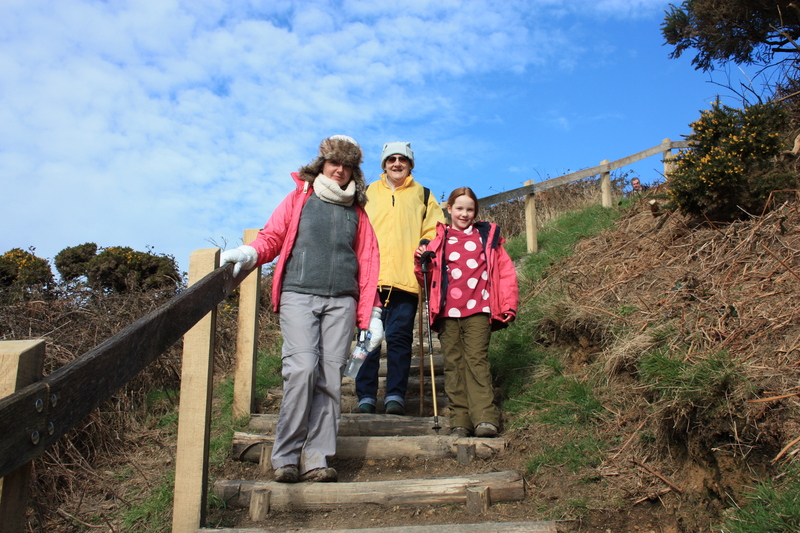 Our coastal path ran around the seaward side of the hills, and here there were a number of flowers already on display. Can you imagine what this place would look like in full bloom? To the other side of the Firehills we approached Fairlight. 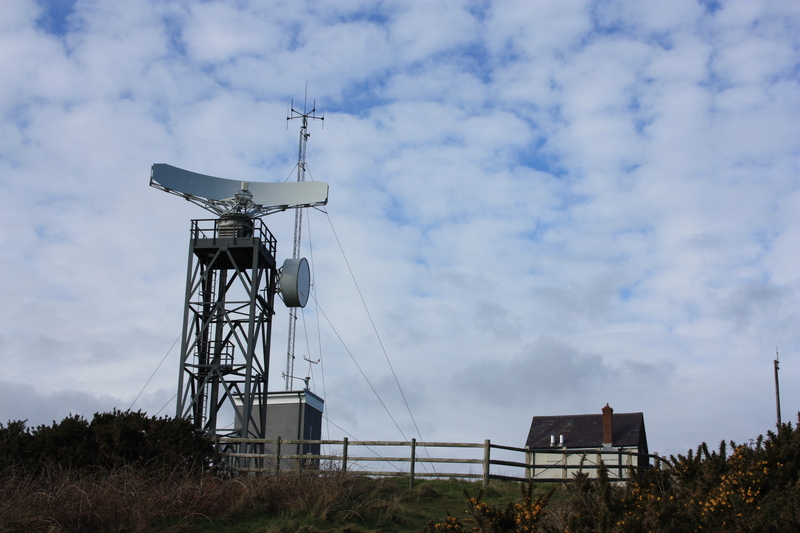 As we descended into Fairlight Glen the coastguard station and radar kept watch over us. Below us was Covehurst Bay, the site of a well hidden and secluded nudist beach. It took a little while to persuade my wife that it was a bit chilly for that sort of thing today, but reason prevailed in the end and she agreed to carry on walking. The path down into the glen was at times rather steep, giving us a taster of what was to come for the remainder of the park. By the end of the day we would have gone up and down three more times. My GPS would register 1,285 feet of ascent. And what a day to do it on, with blue skies to keep us company the whole time. At last, the Spring sun was finally thawing Winter’s frosty boundaries! 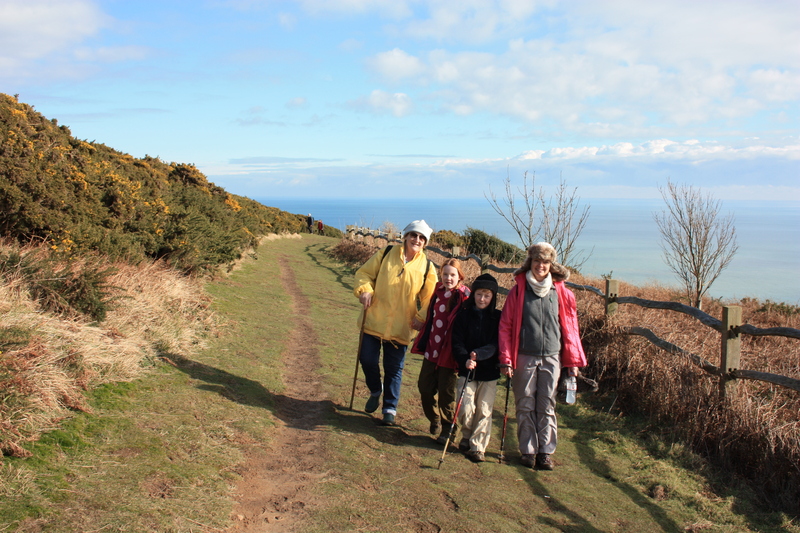 This entry was posted in East Sussex and tagged coast, covehurst bay, East Sussex, fairlight, fire hills, firehills, gorse, hastings country park, radar, travel, walking. Bookmark the permalink.